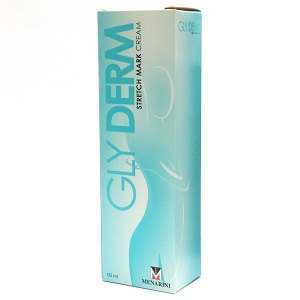 This week for our review we’re taking a look at the Stretch Mark Cream from Gly Derm. The formula focuses on two important proteins, collagen, and elastin. Collagen is the most abundant protein in our bodies, and essentially holds our body together, elastin makes our skin flexible, key for times when the body gets larger or smaller. By strengthening, and promoting regeneration of these key proteins Glyderm claims it can reduce the size of existing stretch marks, help with colouration, and prevent new stretch marks from appearing. The product should also tone your skin, making it tighter and more elastic. Glyderm are all about research, and rigorously test their products in clinical studies which you can find on their website. To know more about the ingredients, and effectiveness, just read on. The active ingredients include a nourishing dose of shea butter, and some sweet almond oil, as well as other natural products including Centella asiatica. We should note that many of these ingredients are not the most natural, Centella asiatica is possibly not safe during pregnancy, as not enough is known about its use. Potassium Iodide in high enough doses may cause swelling of the salivary glands, and rashes, as well as a metallic taste in the mouth. Apply liberally daily onto clean, dry skin, twice a day. Depending on the severity of the scarring, and size of the area, you may want to adjust and use more or less on these areas. As mentioned there are some associated concerns regarding a handful of ingredients in the Glyderm stretch mark cream. In particular, be aware that an allergic reaction to potassium iodide can have very serious effects. The best place to buy the Glyderm range seems to be Amazon where it retails for $35. We haven’t found any promotional codes or discounts for this product, unfortunately. No information was available about product guarantees, which probably isn’t the best sign. Overall the Glyderm product does seem to have some strong points; the product is fairly well rated in forums and so on. Also and the price is fairly low. The overall impression of Glyderm’s stretch mark cream though is a negative one. The product is probably more or less fine to use, but the ingredients do seem far less thought out than most other products on the market. Also little information is available from Glyderm about important considerations. A quick web search tells me that some of the ingredients inside shouldn’t be used when pregnant, but we can’t see any information relating to pregnancy on their website. The same turns out to be the case for their product guarantee, it’s very difficult to find anything concrete online about it. It really would be nice to have some more information about this cream to make a better judgement. David Carney	reviewed Glyderm Stretch Mark Cream	on August 5th	 and gave it a rating of 2.5.